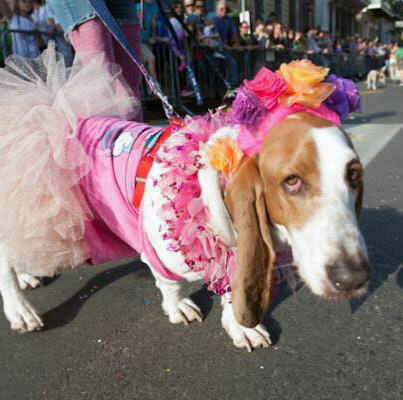 Mardi Gras makes you say and do funny things. 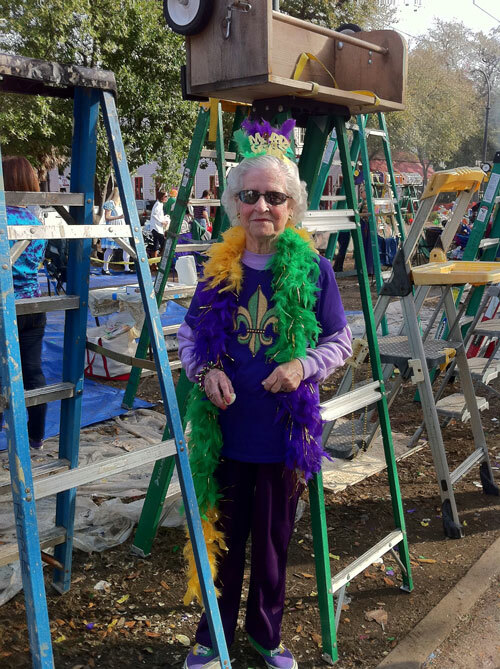 Yesterday, for instance, I noticed the time and remarked, “Okeanos is rolling and I haven’t started the king cake yet!” You are used to asking people if they are sidewalk side or neutral ground so you can find them on the parade route. I was very happy when I found my pink wig (that is a normal thing around here). 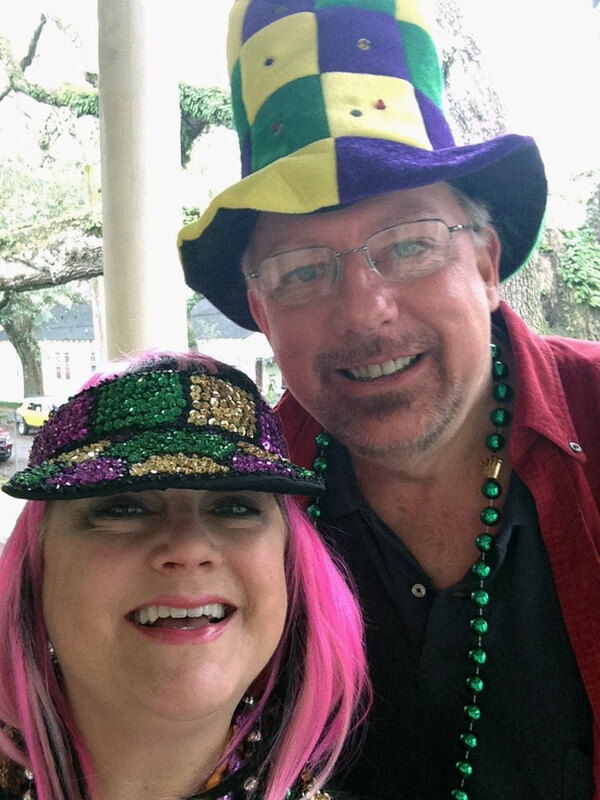 We wondered if my husband’s Mardi Gras hat needs new batteries – because, of course, it lights up. No one escapes this craziness. 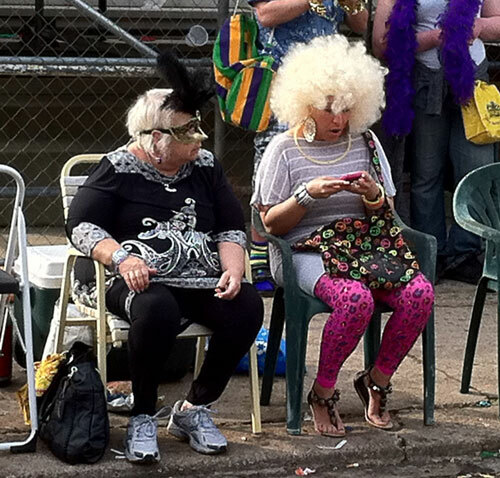 Carnival in New Orleans is hard to explain. It is something that has to be experienced. It is fun and crazy. All of the colors, the music, the smells and excitement overload the senses. It is like nothing else. Hope your Monday is fabulous. Wish you were here! Today, I’m joining Metamorphosis Monday with Between Naps on the Porch.